Come and join the dance, song, music and theater classes at the Roxy Theater and Tiller Art Center complex. We offer classes for kids and adults. 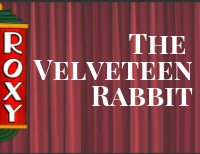 May 3 & 10 at 7 p.m.
May 4 & 11 at 2 p.m. Journey “under the sea” with Ariel and her aquatic friends in Disney’s The Little Mermaid JR., adapted from Disney’s Broadway production and the motion picture, both featuring the enormously popular Academy Award-winning music by Alan Menken and lyrics by Howard Ashman and Glenn Slater and delightfully charming book by Doug Wright. 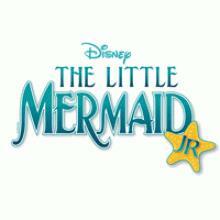 Based on one of Hans Christian Andersen’s most beloved stories, Disney’s The Little Mermaid JR. is an enchanting look at the sacrifices we all make for love and acceptance. Day Camp: July 1-12, Monday-Friday 10 a.m. – 4 p.m. 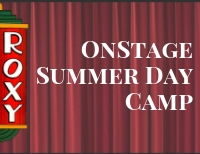 Performances: July 12 at 7 p.m. and July 13 at 2 p.m. & 7 p.m.
Children from 6 to 18 act, improvise, dance, sing, create and have fun as they hone their theatre skills and prepare for their culminating performances. December 6 & 13 at 7 p.m; December 7 & 14 at 2 p.m.
Vanessa Nixon Klein offers Belly Dance Classes Tuesdays at 6:30 p.m. For more information, call 888-817-1831. Under This Month at Roxy, also add Belly Dance Classes at the Tiller Arts Center. This exciting program serves under the umbrella of the Fire Mountain Arts Council. Since 2005, twenty to forty children have participated in each session of the OnStage Children’s Theatre Education Program at the Roxy Theater. From memorizing lines to the basics of stagecraft to teamwork skills, children learn about the theater and what it means to be on stage. The program culminates in fun-filled live performances in which the children get to demonstrate all that they have learned. Find the OnStage Children’s Theatre Education Program on Facebook.